Michaels won $500,000 for the American Diabetes Association on Celebrity Apprentice, with a donation of $250,000 coming from Snapple to go towards researching a cure for the condition. He also played on Don’t Forget the Lyrics, where he won $250,000 for St. Jude Children's Research Hospital and the Juvenile Diabetes Research Foundation. Bret was diagnosed with diabetes at the age of 6. In 2013, the singer drew a crowd of over 125,000 fans to Fair St. Louis’ Independence Day celebration where he was honored for his ongoing philanthropic & charitable efforts. Michaels was presented the Patriot Award by members of the U.S. Military in recognition for his ongoing support of the troops, which has included trips to Iraq and Kuwait, into the actual war zones, to perform for the troops. Michaels’ Life Rocks Foundation supports and helps wounded veterans as well as many other charities close to Michaels’ heart. 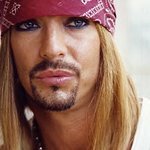 Bret Michaels is a multiplatinum global superstar who has sold over 32 million records worldwide, is a reality TV superstar with some of the highest rated reality shows in history as well as a lifelong type 1 diabetic. 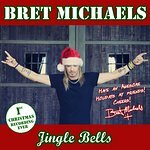 An entrepreneur, Michaels has created the multi-million dollar selling Pets Rock Collection with PetSmart, launched his own line of custom guitars and created “Bret’s Blend, Diet Trop A Rocka” which is a number one selling beverage for Dr. Pepper/Snapple Group. Michaels, personally and through his Life Rocks Foundation has helped raise millions of dollars for charity and makes donations to not only diabetes awareness and research but to such causes as childhood cancer, PetSmart Charities, Operation Homefront, Fealgood Foundation and more. His talent, business acumen and natural candor have solidified him as “a cultural touchdown” in the words of former Viacom CEO Judy McGrath and made him one of the most sought after performers, keeping him on the road for each of the last 10 years, for nearly 300 live performances, speaking engagements, charitable concerts and private engagements yearly. Entertaining, engaging and educating audiences for more than thirty years, Michaels is a true icon who rose to fame as the front man of Poison, one of rock’s most iconic and enduring bands, a juggernaut that helped define the rock-n-roll scene on the Sunset Strip. Poison’s massive success includes selling over 30 million records worldwide and numerous hit singles. Bret’s solo career has charted its own course with multiple solo albums. His last studio album, “Custom Built,” topped the charts, reaching #1 on Billboard’s Hard Rock list while his most recent CD “Bret Michaels: Jammin With Friends” features a myriad of legendary artists; Joe Perry (Aerosmith), Loretta Lynn, Jimmy Buffett, Ace Frehley (KISS), Michael Anthony (Van Halen) and members of Lynyrd Skynyrd. Google trends for "Bret Michaels"